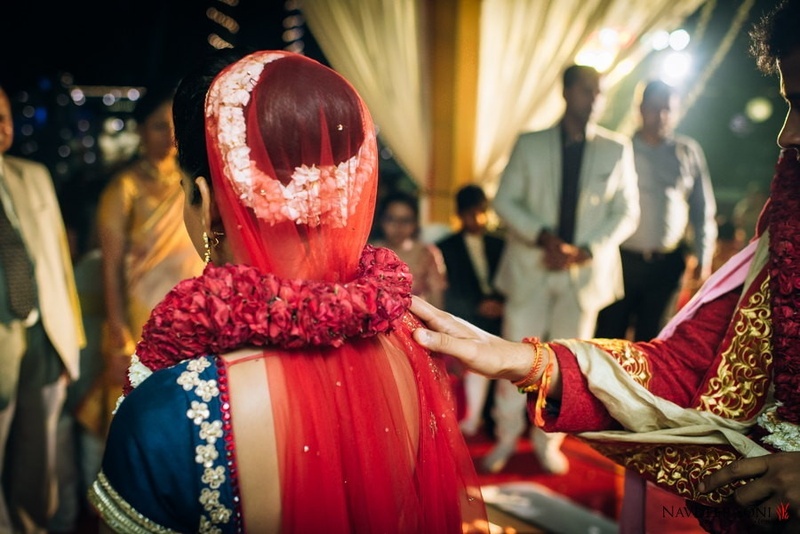 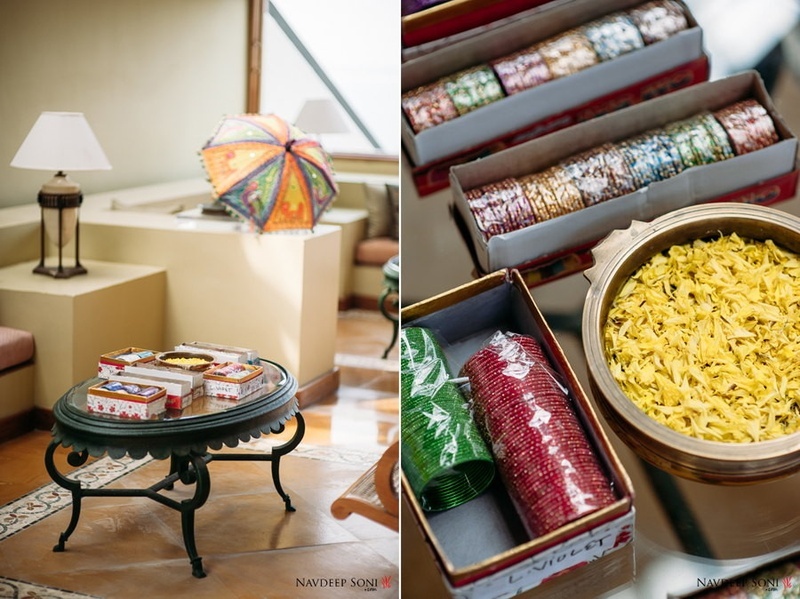 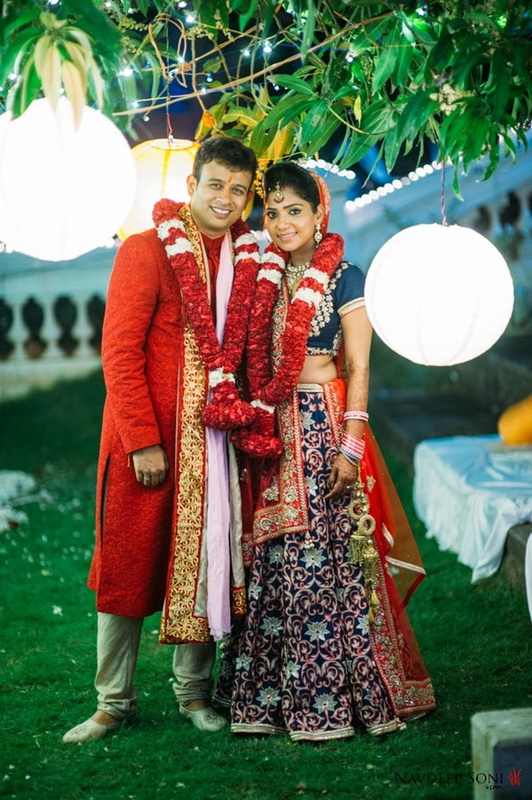 A wedding oozing with exquisite style in all of its components – whether the pre-wedding photoshoot, the engagement + sangeet set-up, the décor at the wedding or the gorgeous bride’s kaliras, Richa and Vikram’s wedding was undoubtedly one for the tasteful wedding books. 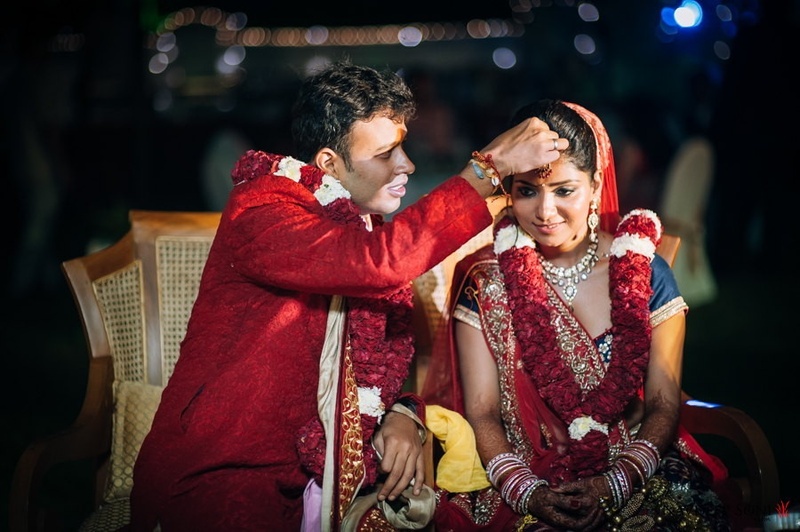 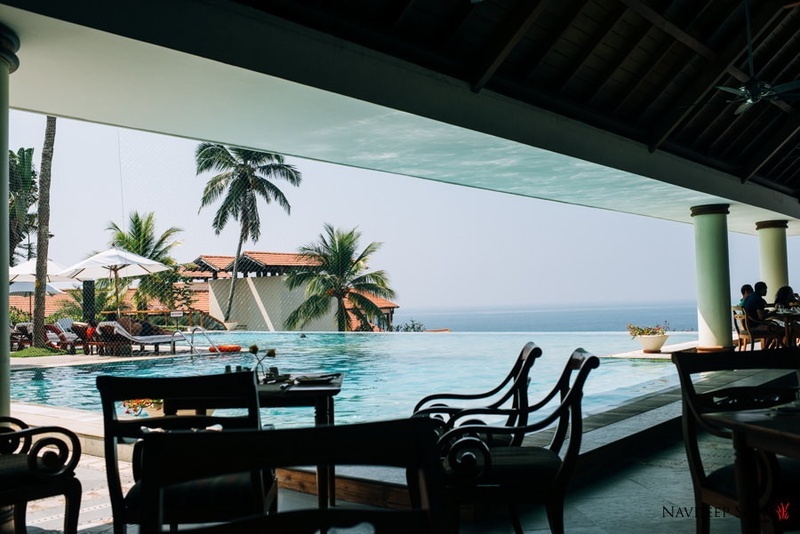 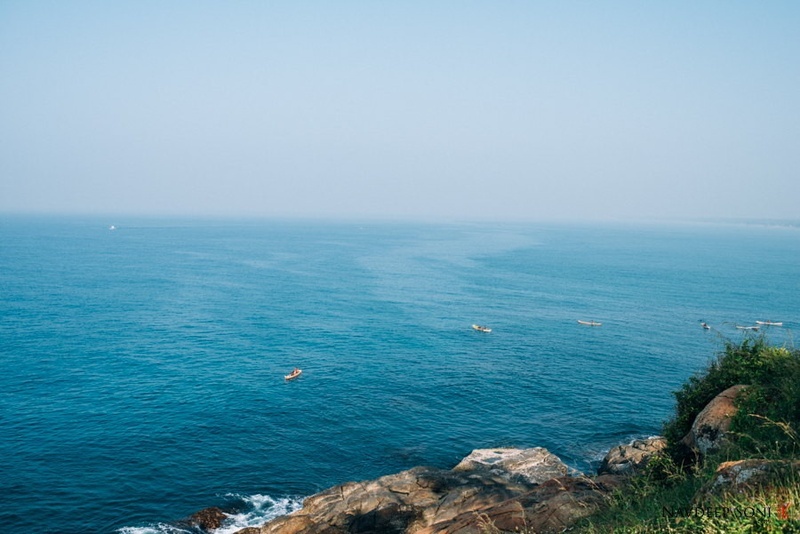 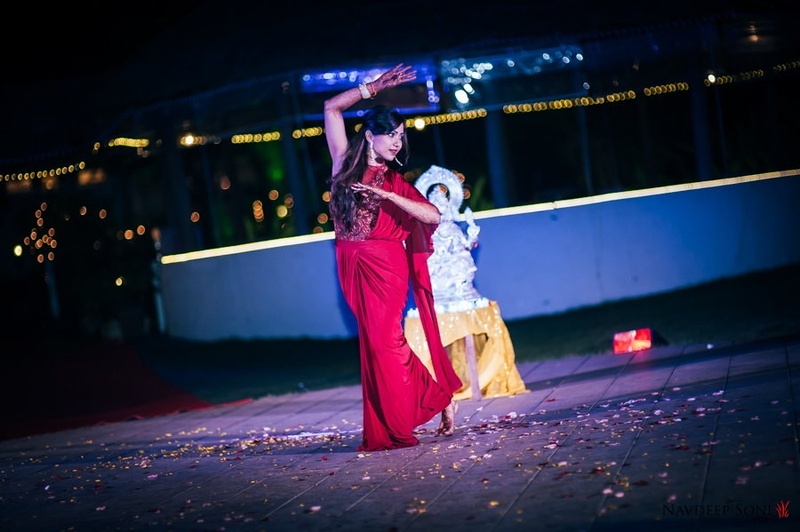 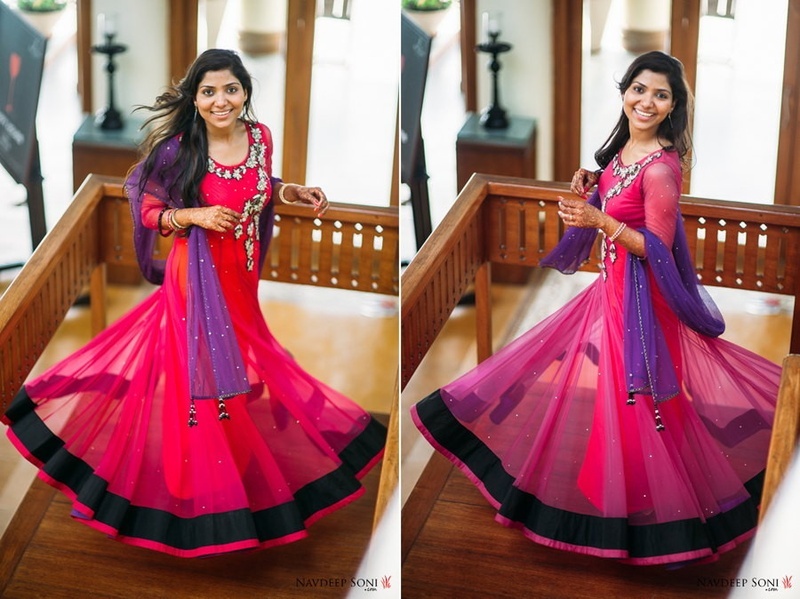 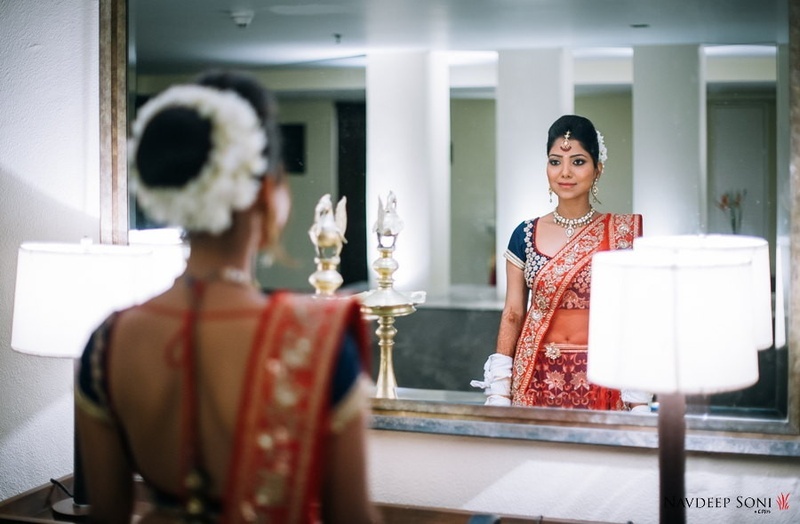 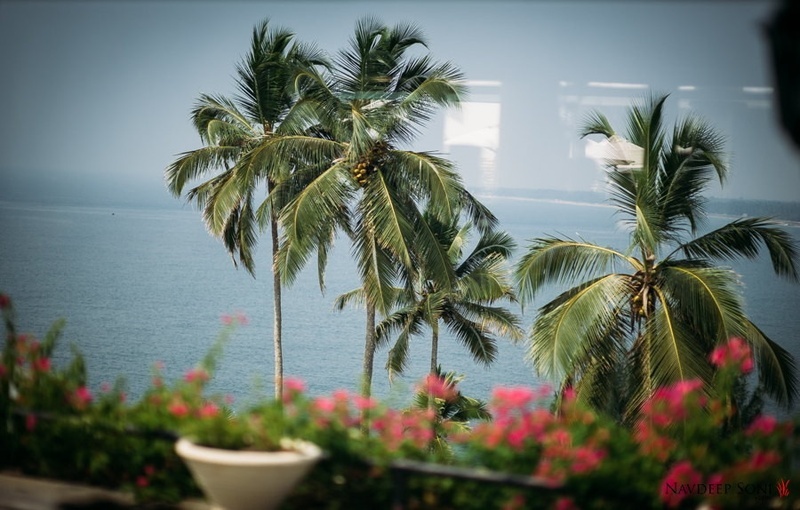 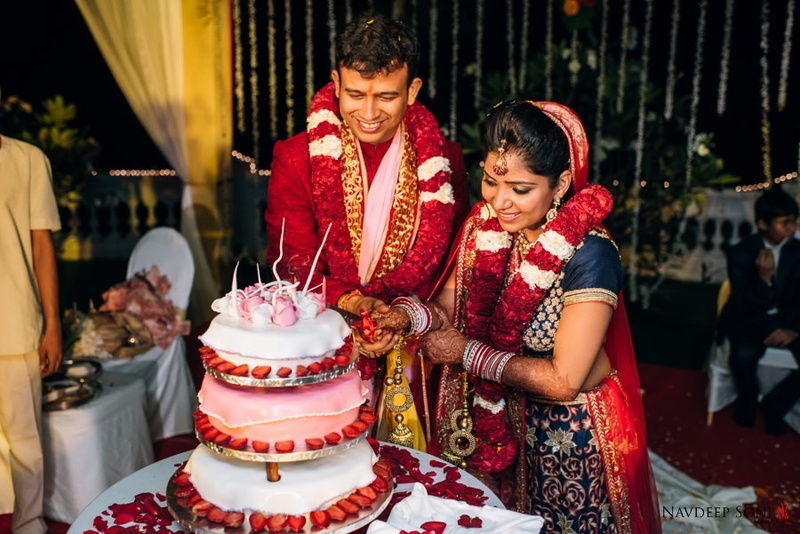 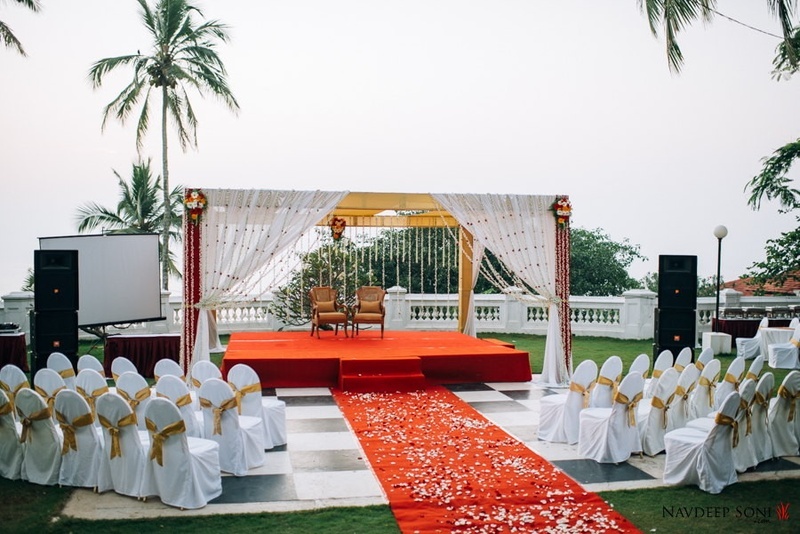 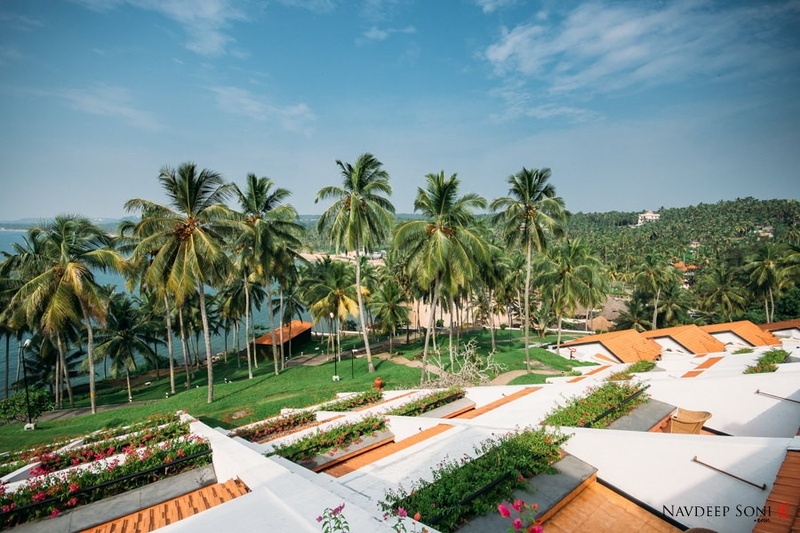 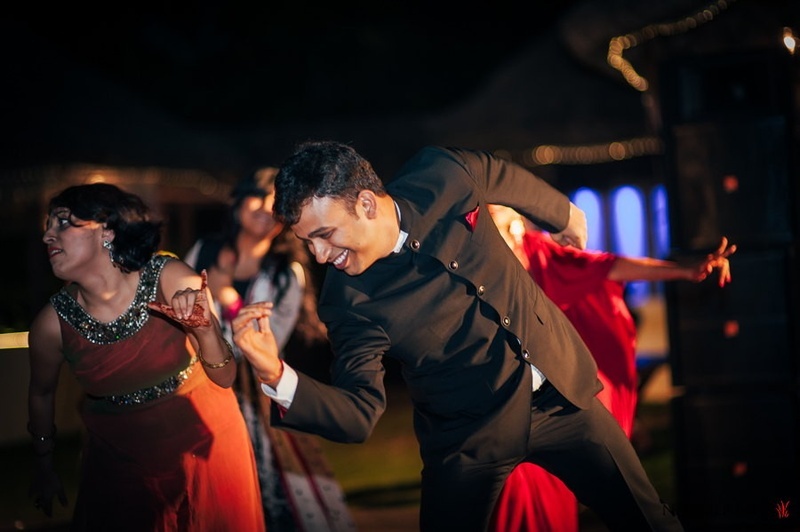 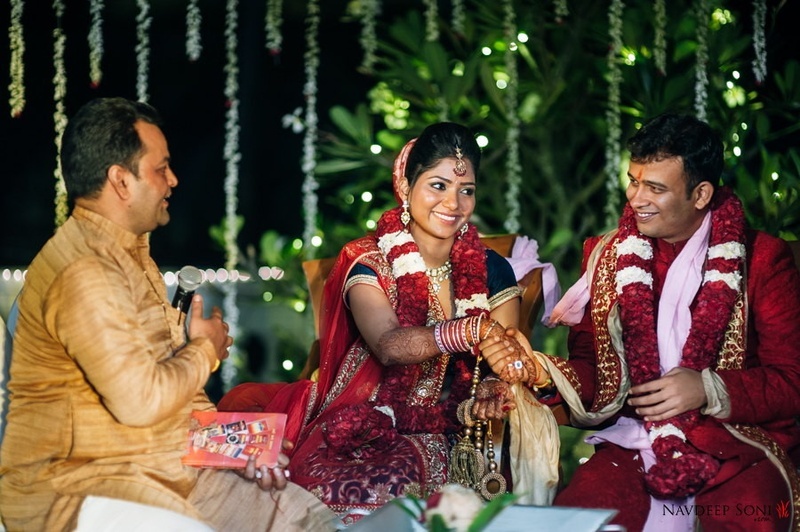 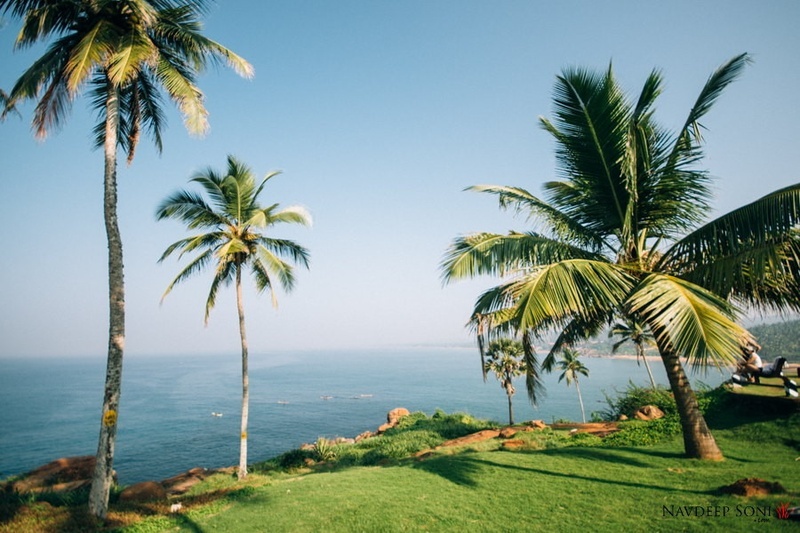 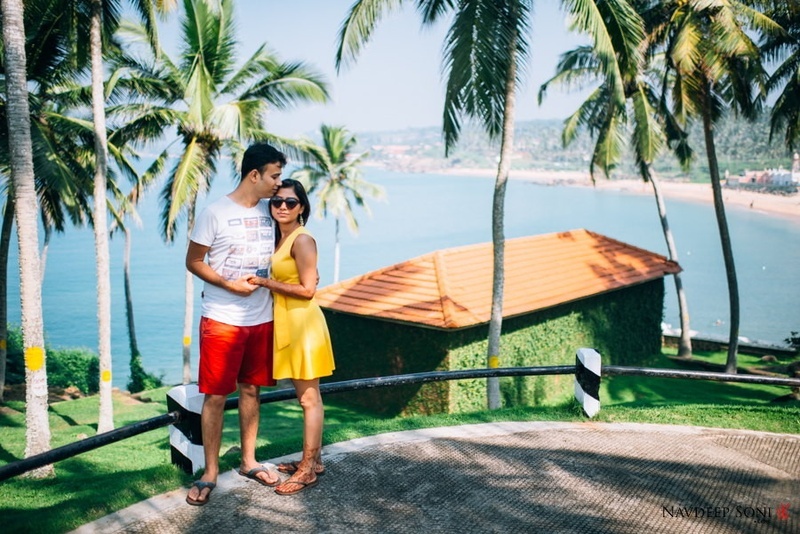 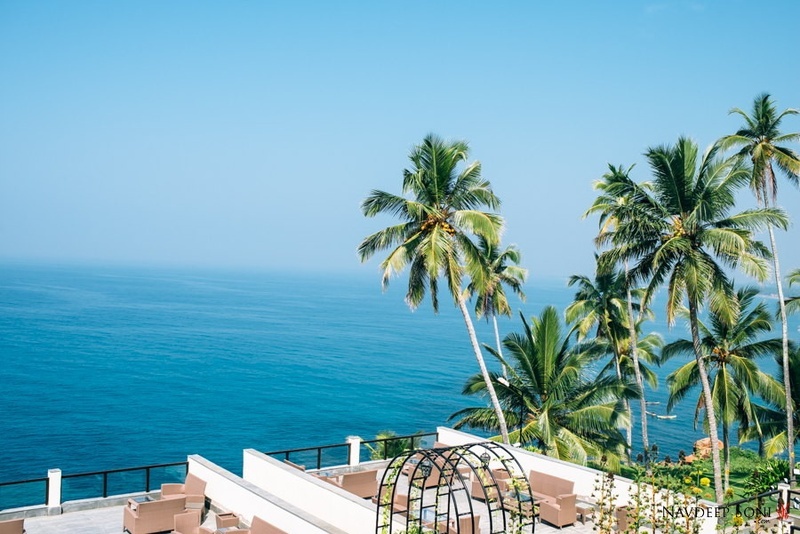 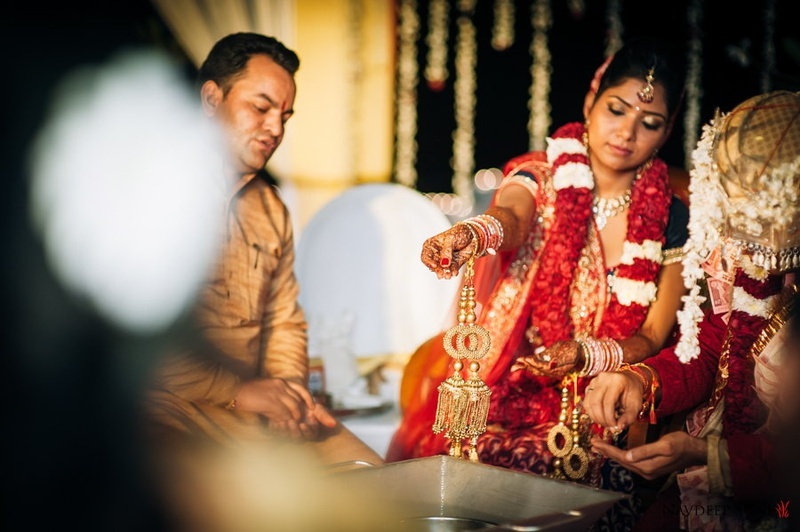 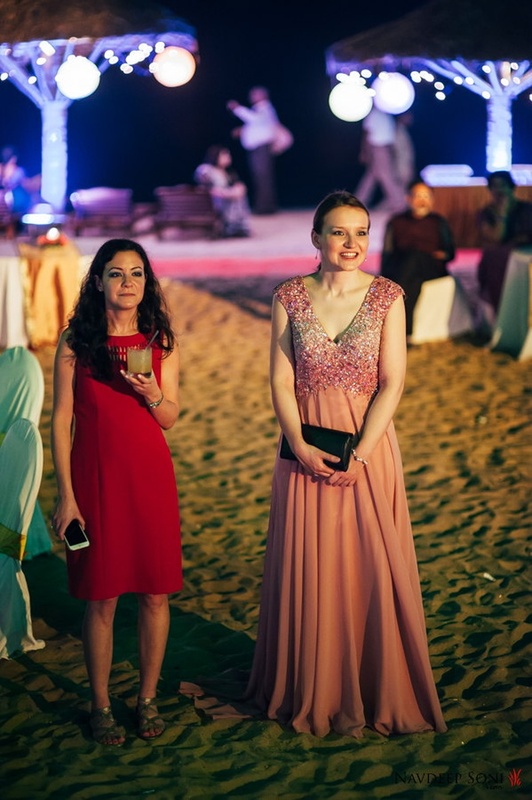 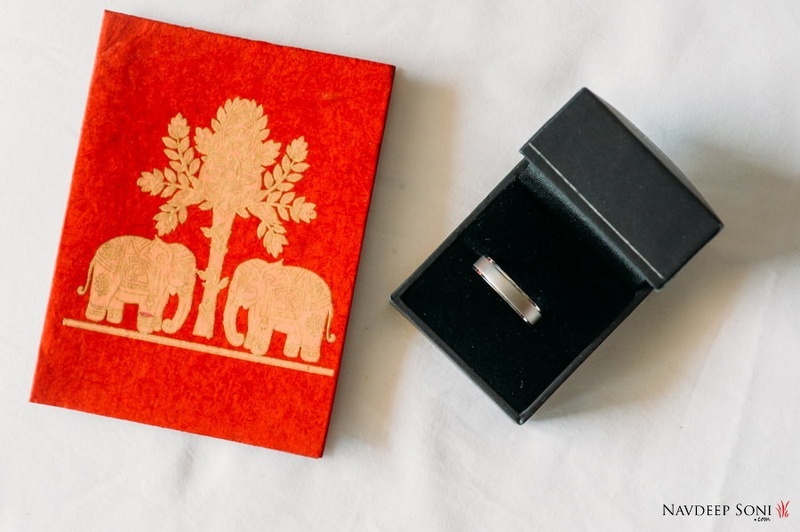 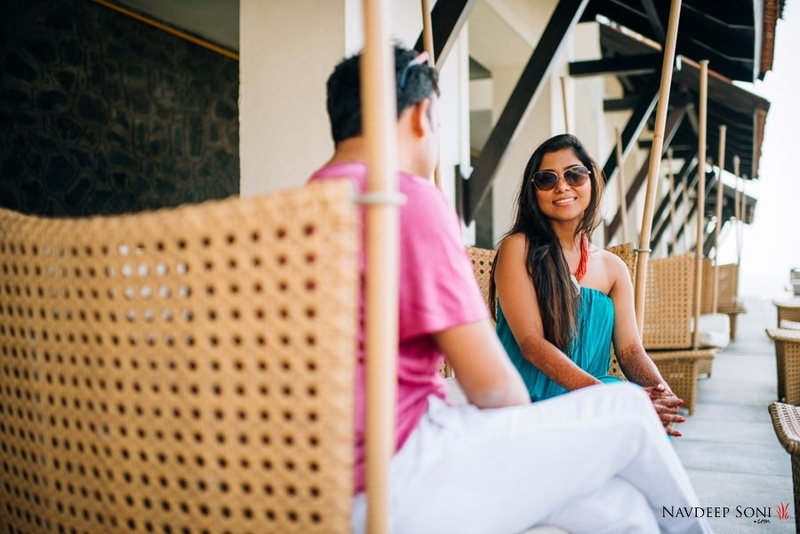 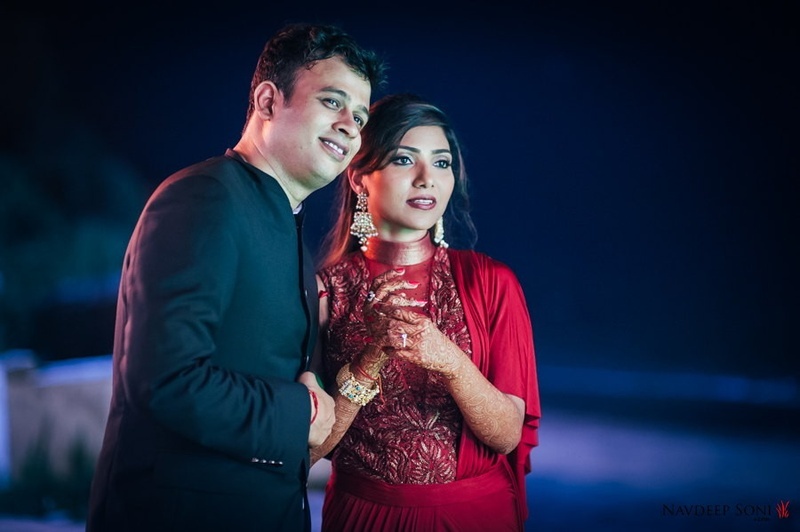 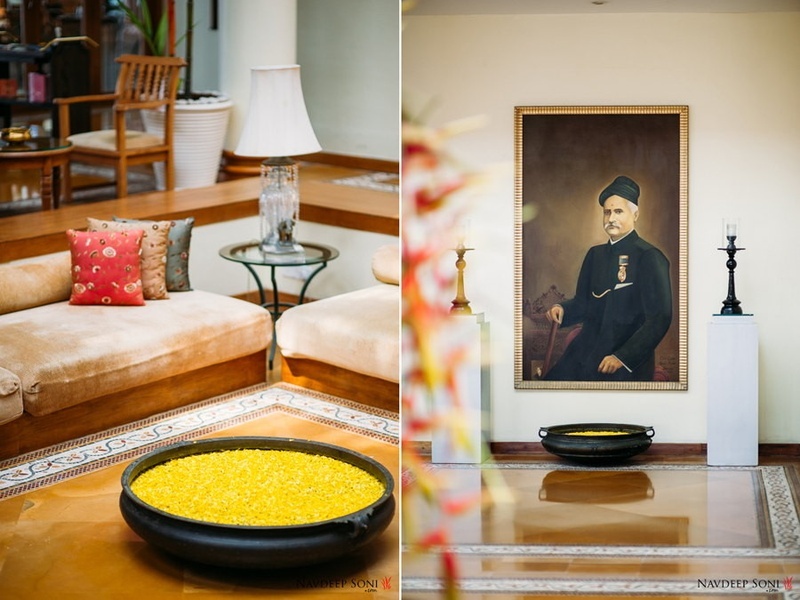 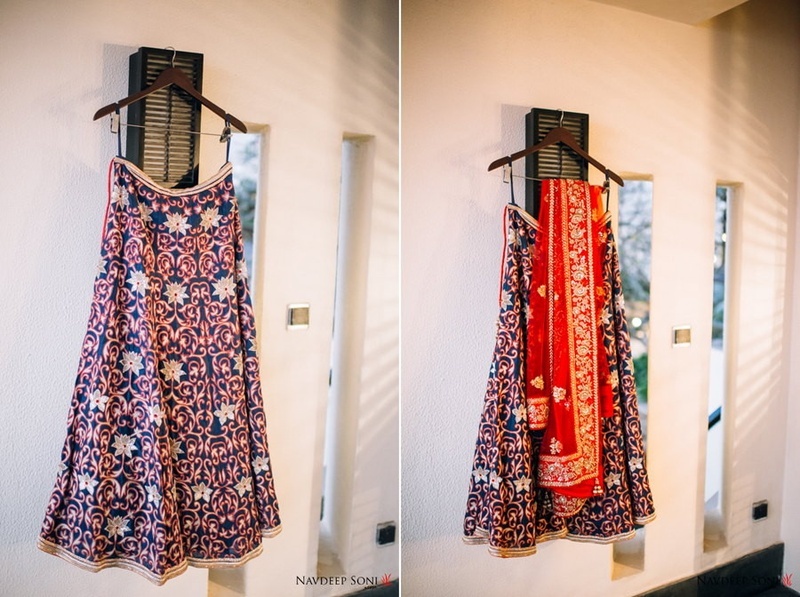 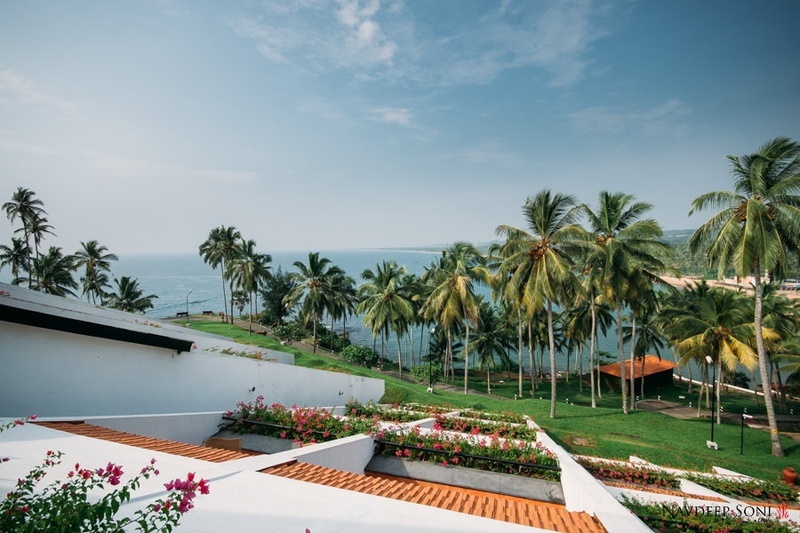 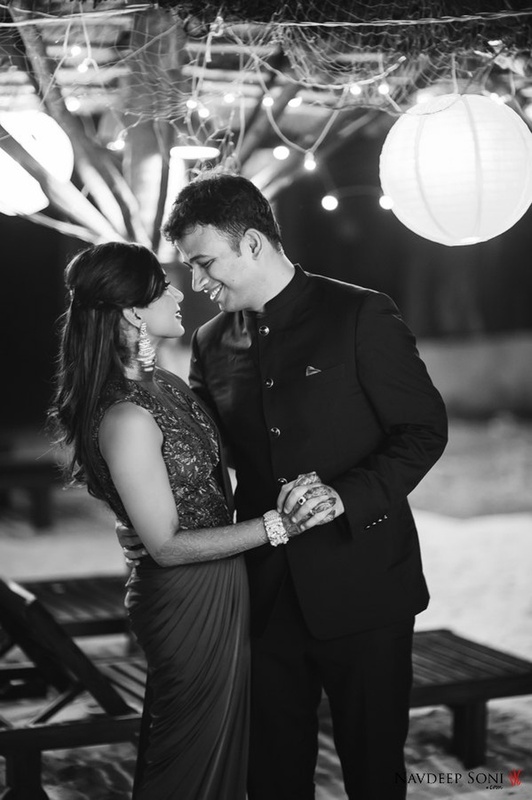 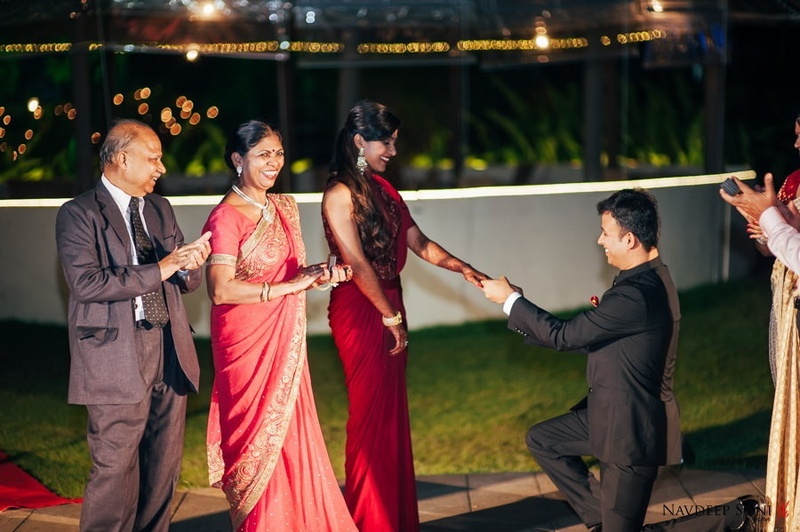 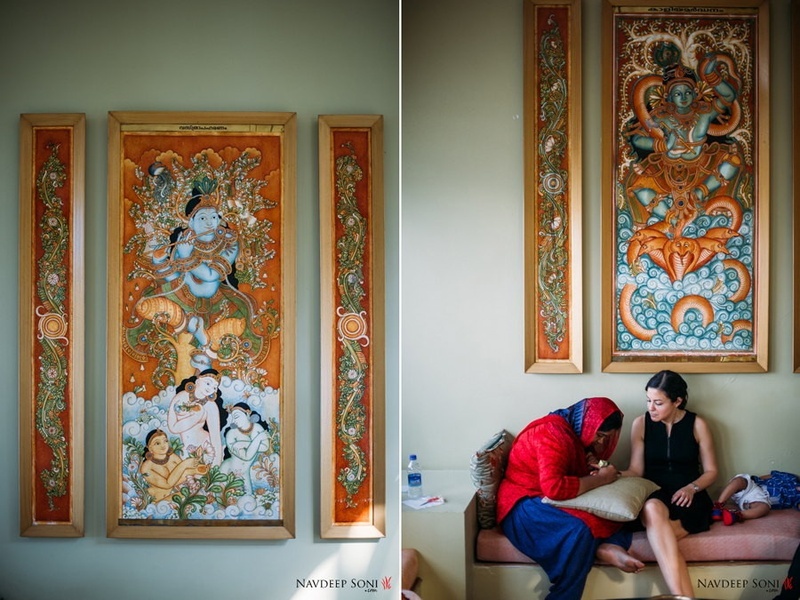 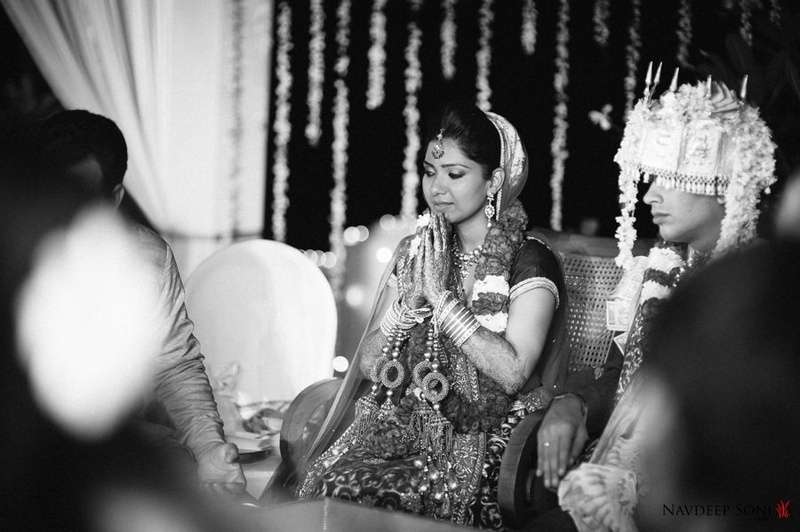 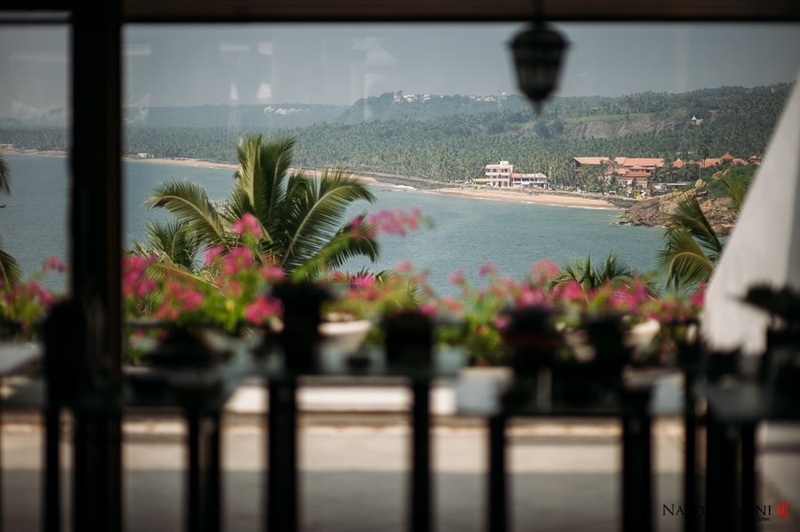 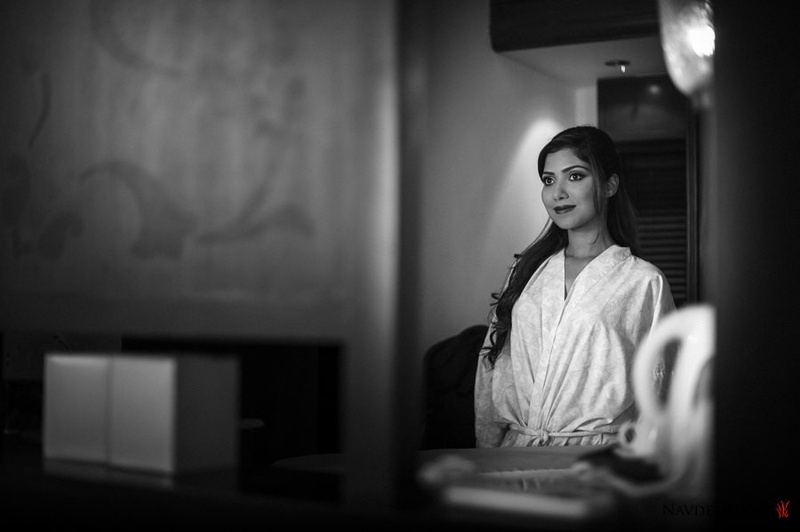 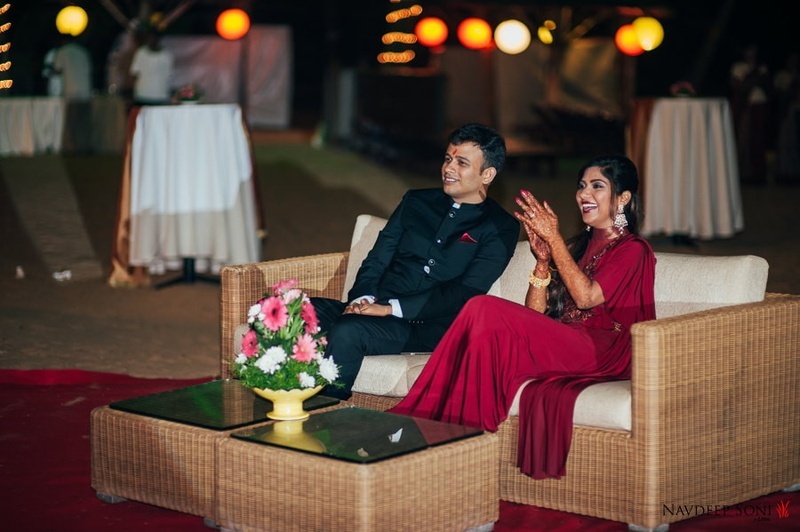 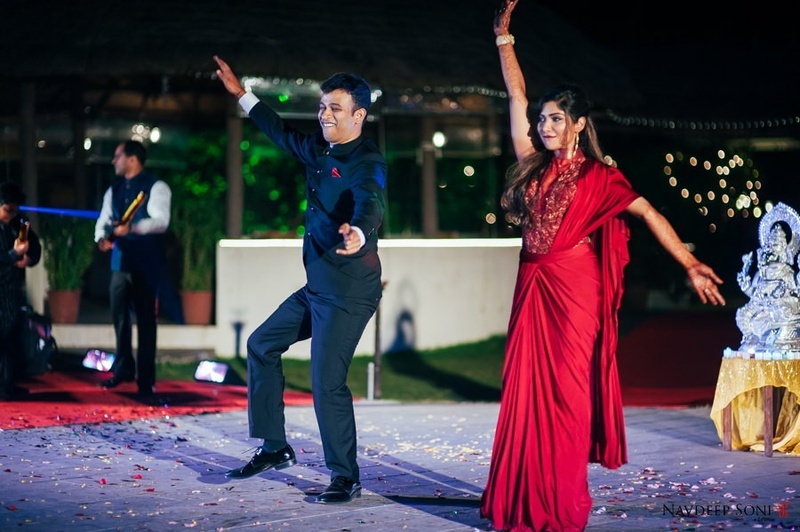 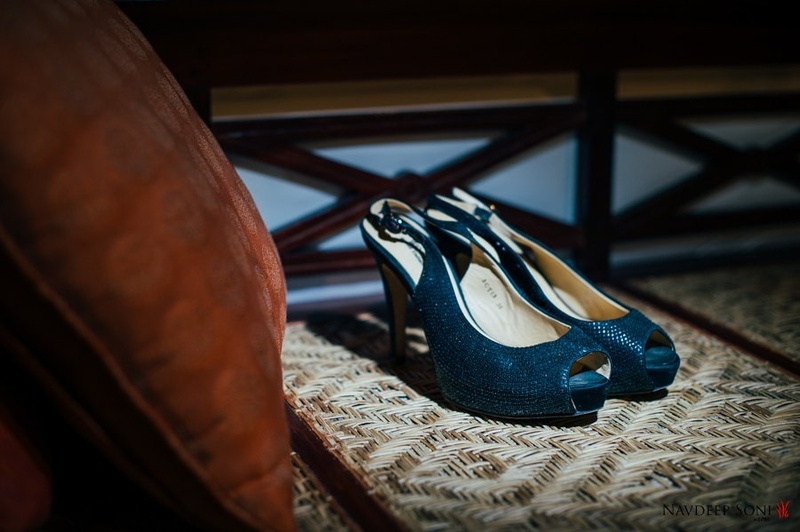 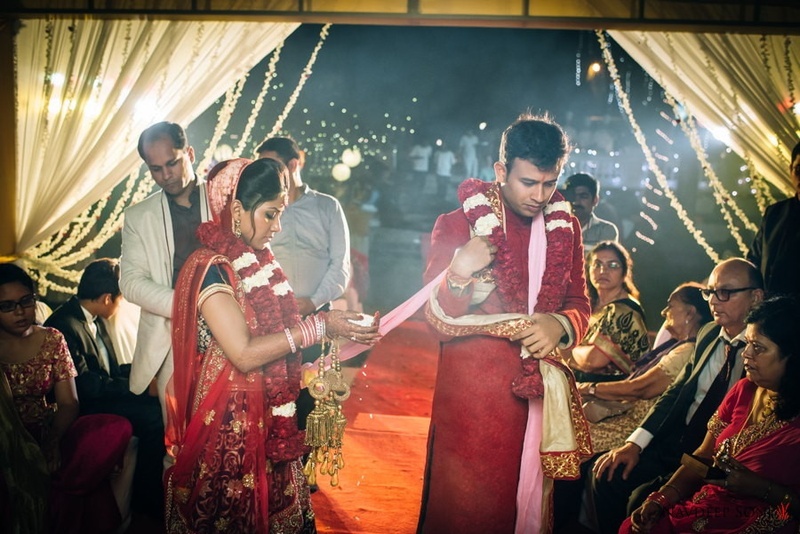 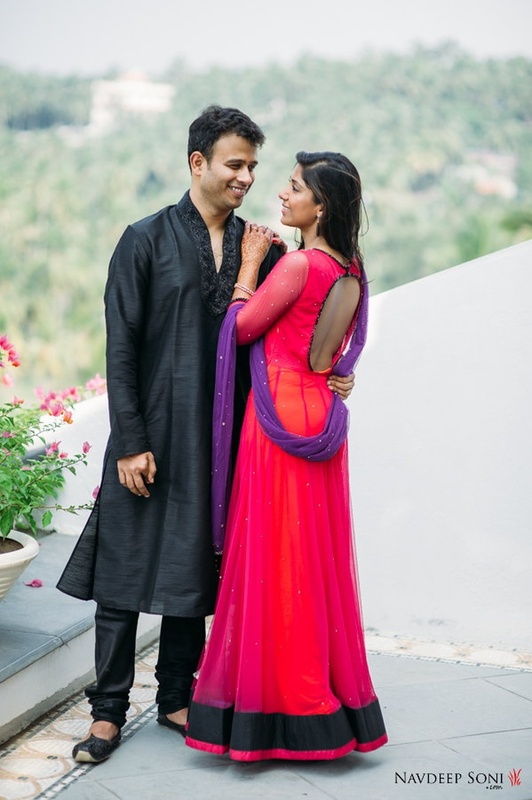 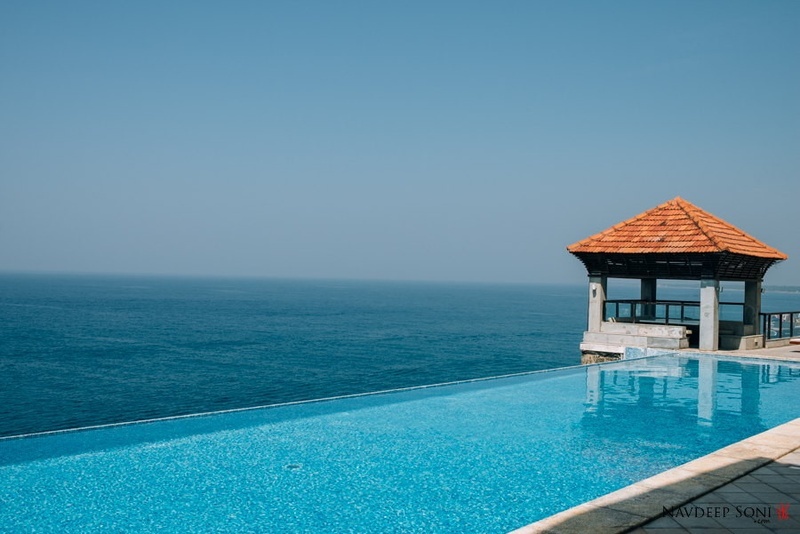 Held at The Leela Kovalam, Kerala, Richa with Vikram AKA the founder of FabFurnish, an online furniture store, was one wedding that had utmost elegance and poise through every ceremony and function. 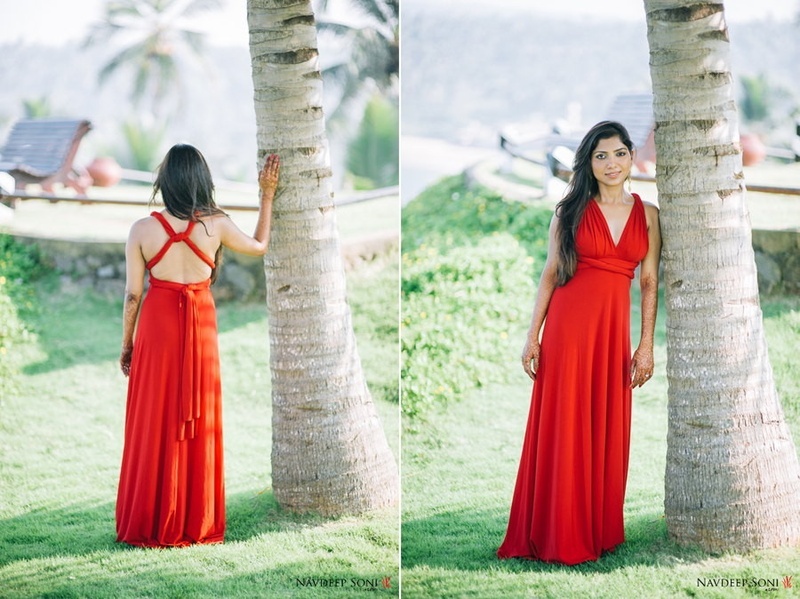 Right from the pre-wedding photoshoot done by the uber talented Navdeep Soni, up until the wedding itself Richa wore bold shades of red whether it was her tie-back deep maroon maxi, her shimmery saree-gown by Shantanu and Nikhil or her dual-hued navy blue and red wedding lehenga by AnaKooki. 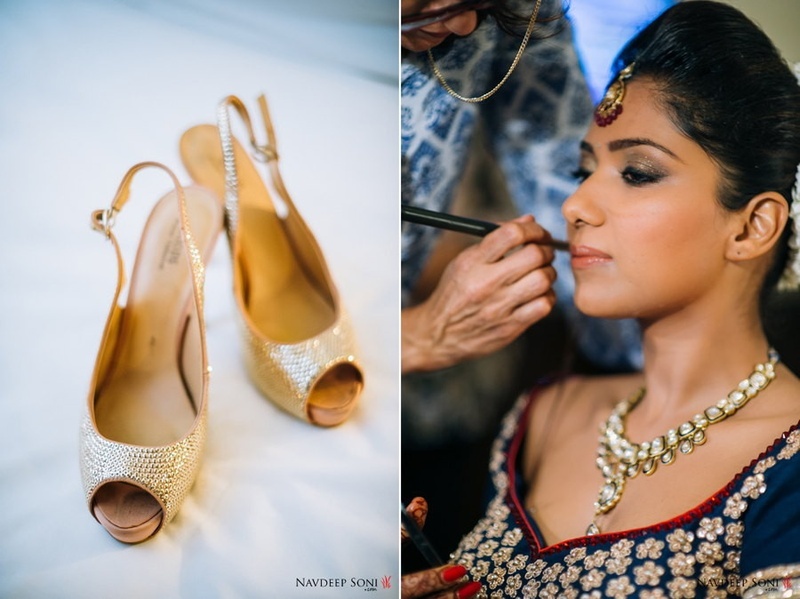 Mehera Kolah the celebrated makeup artist from Mumbai was behind each of this stunning brides looks. 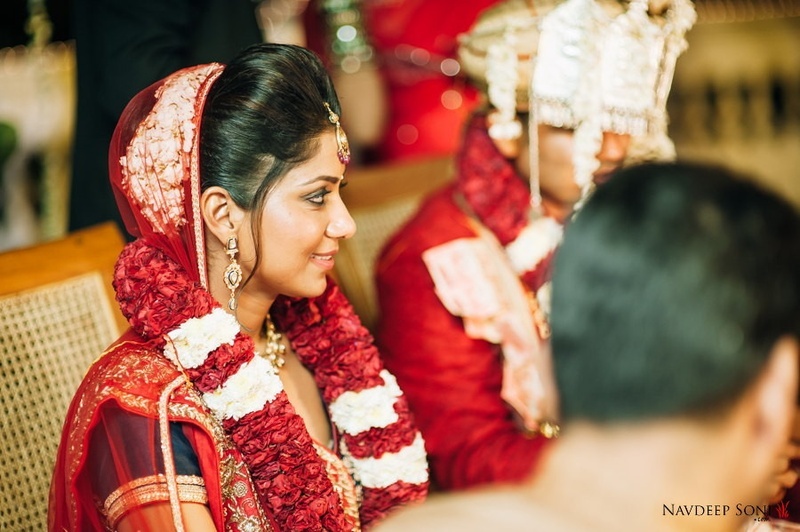 Her makeup was kept glamorous and chic through every ceremony. 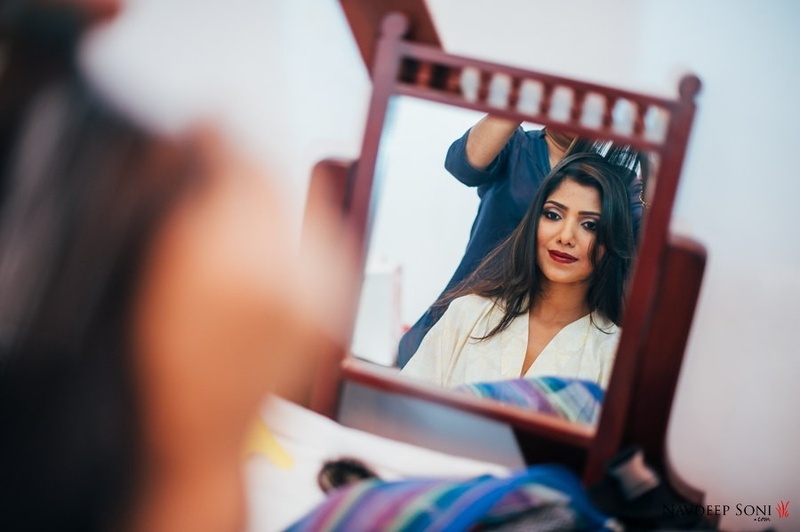 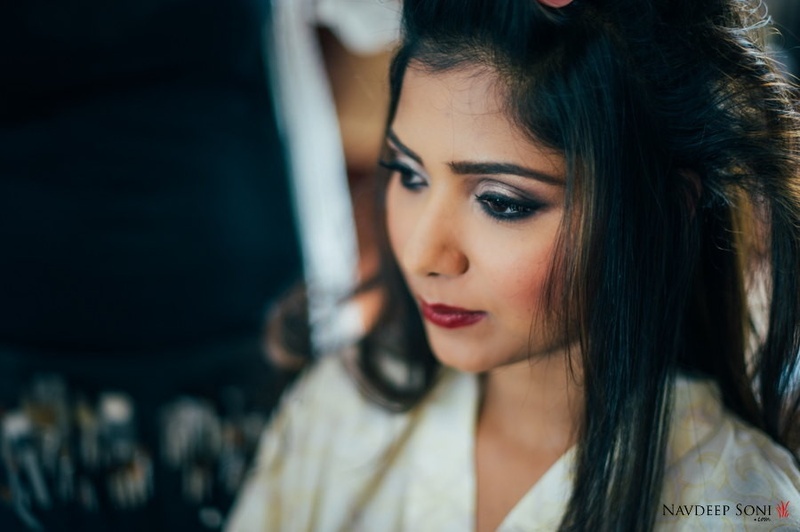 Whether it was the subtle eye makeup and bold lips for the sangeet or the shimmery gold and black smoky eye for the wedding, every look was on point! 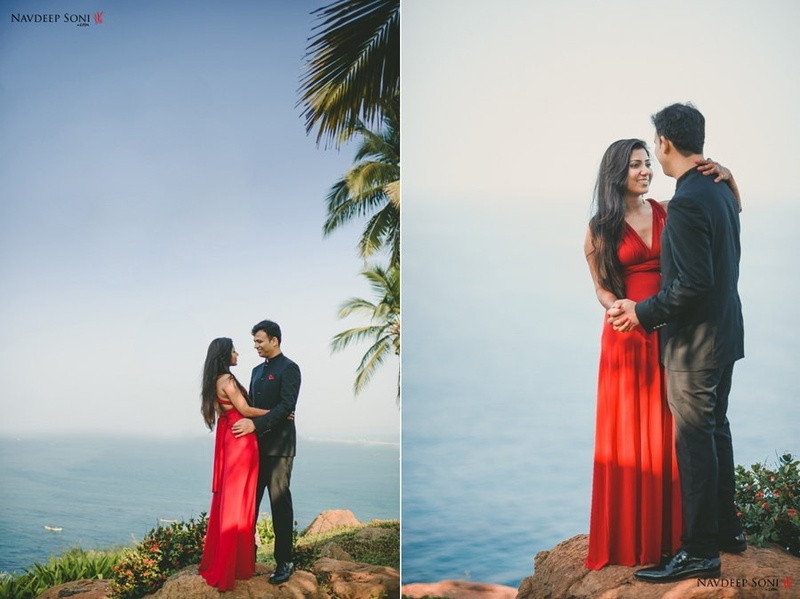 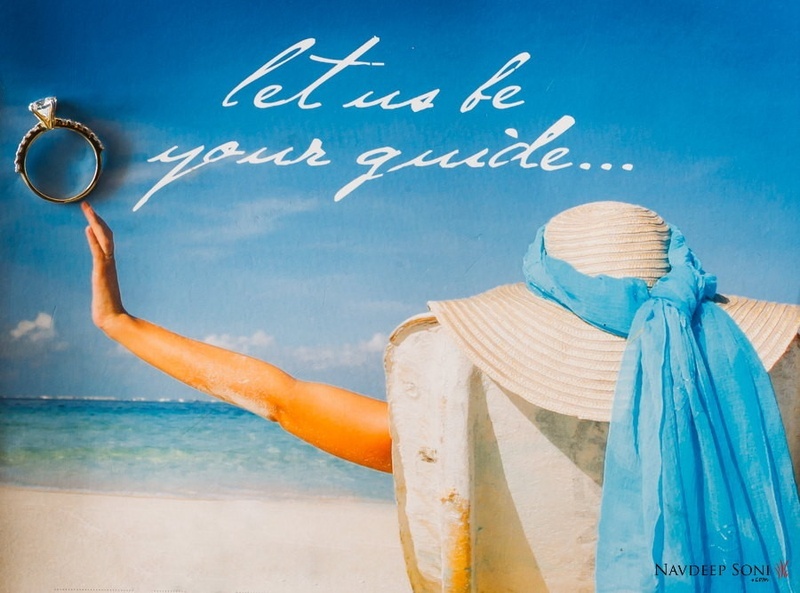 What stole a special place in our hearts was the pre-wedding photoshoot at the beach. 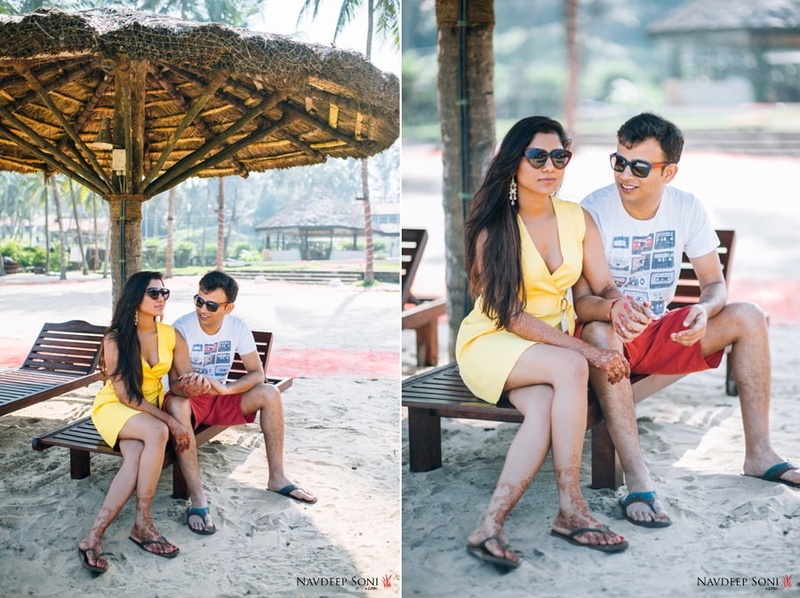 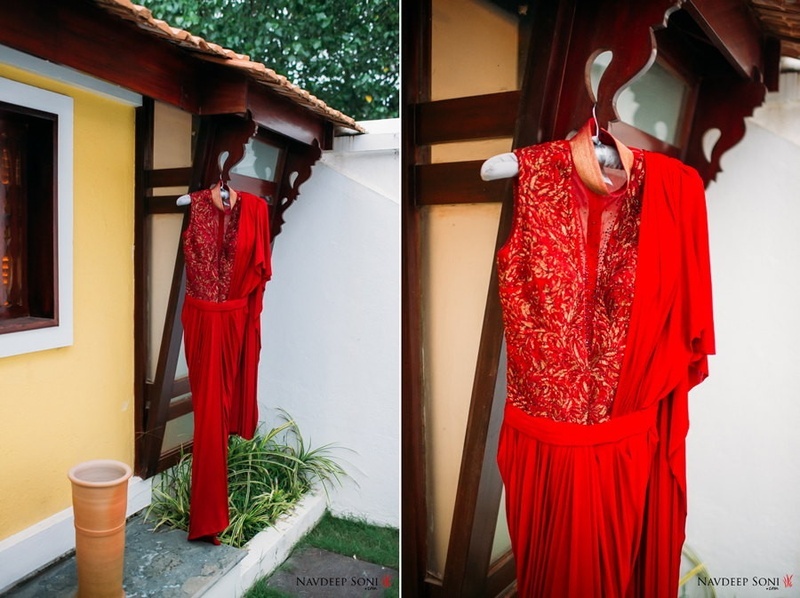 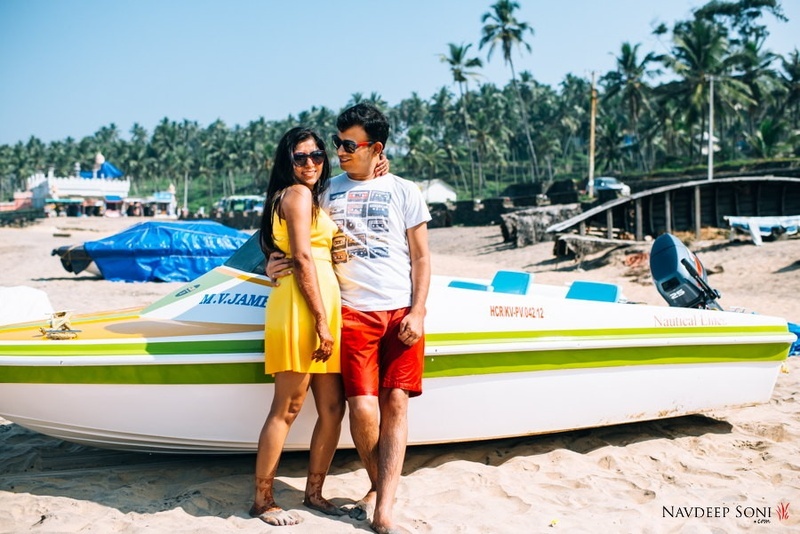 The bride wore a cute little sunny yellow dress while Vikram kept it casual in burnt red shorts and a white tee. 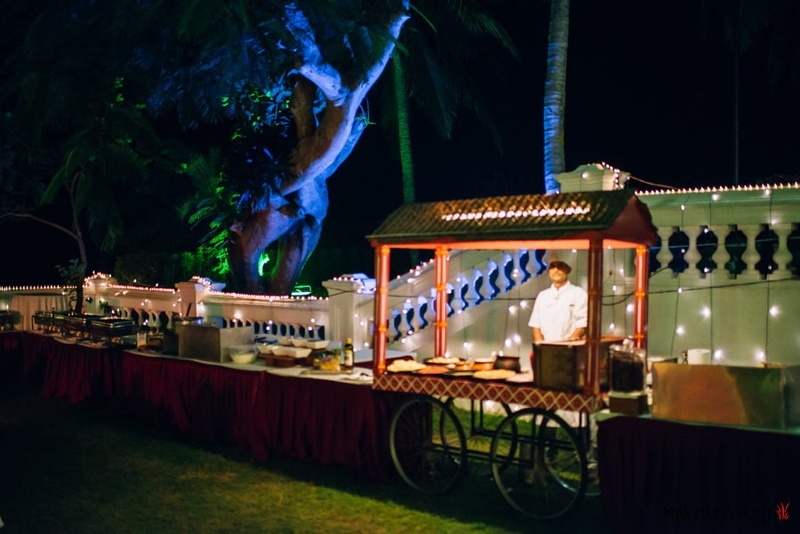 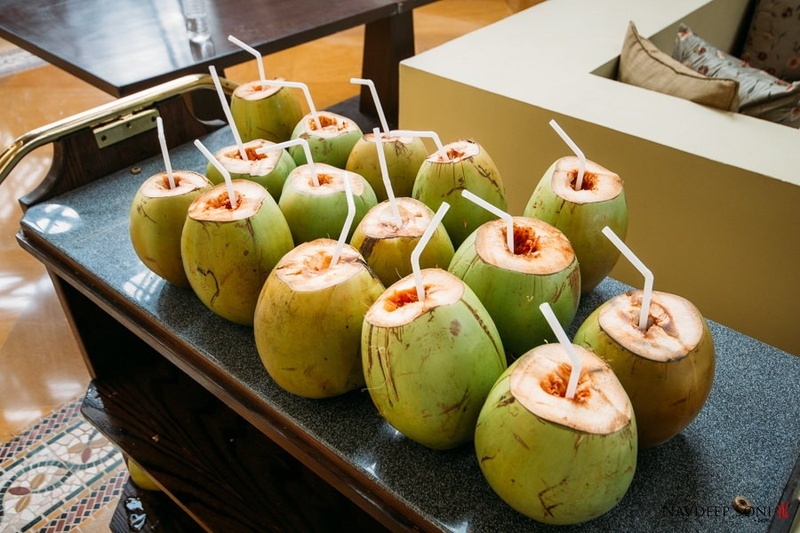 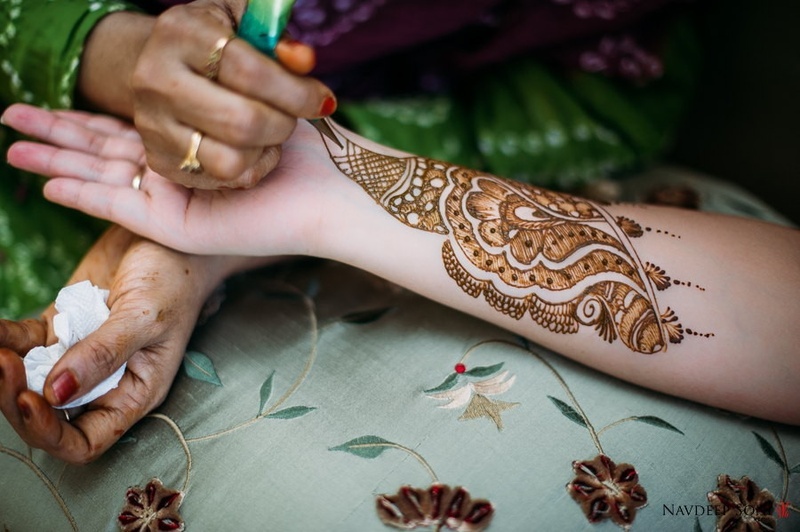 Executive Events, Kerala were responsible for the exquisite décor at every pre-wedding function, as well as the wedding. 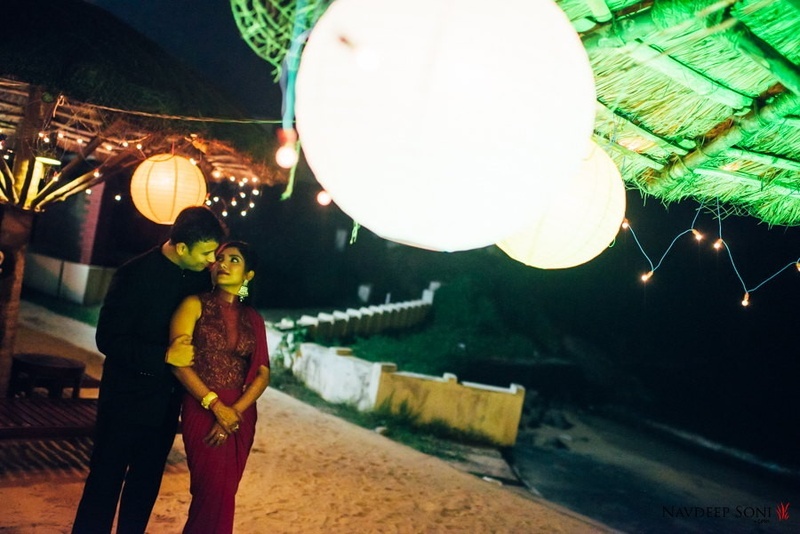 The white and red mandap whith flower petals strung on the aisle, the combination of globe lanterns and fairy lights hung on lush green trees and earthy hay shacks and we can go on and on! 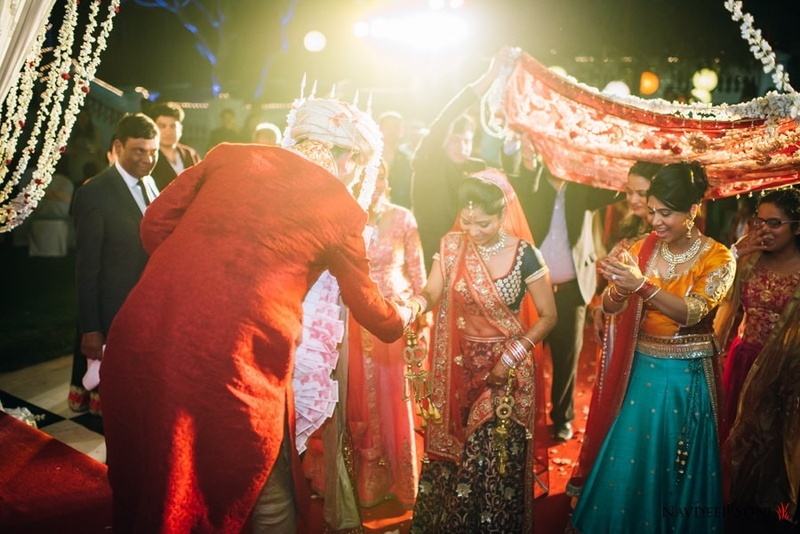 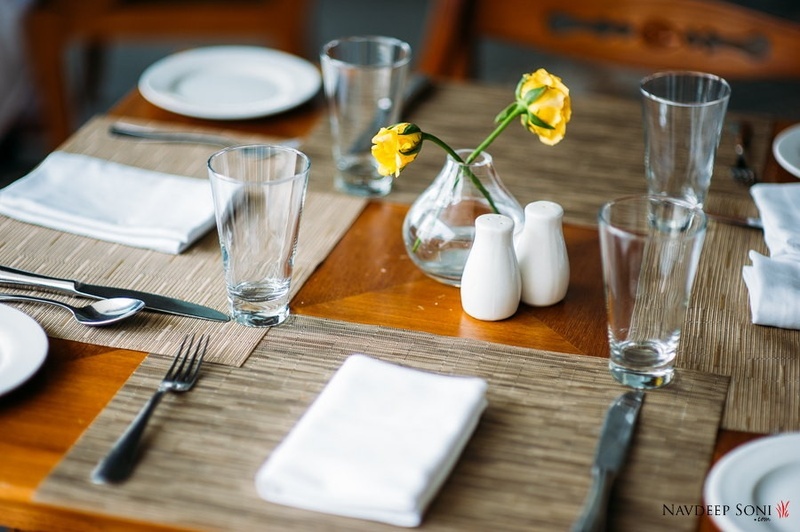 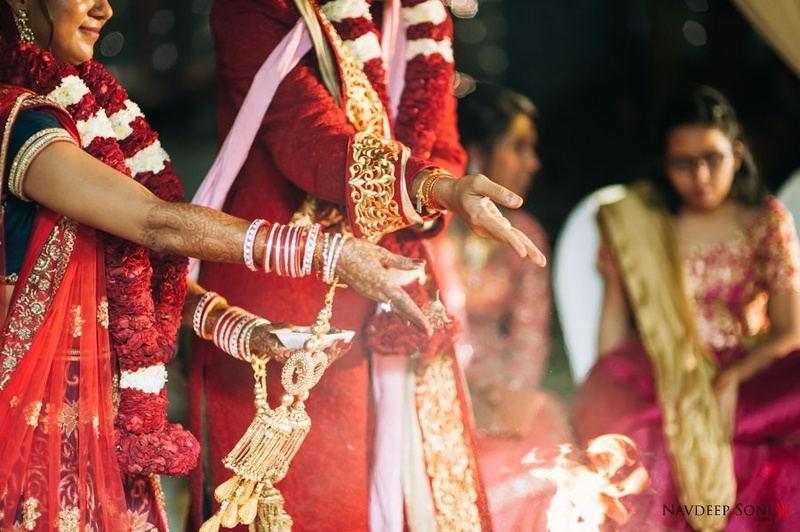 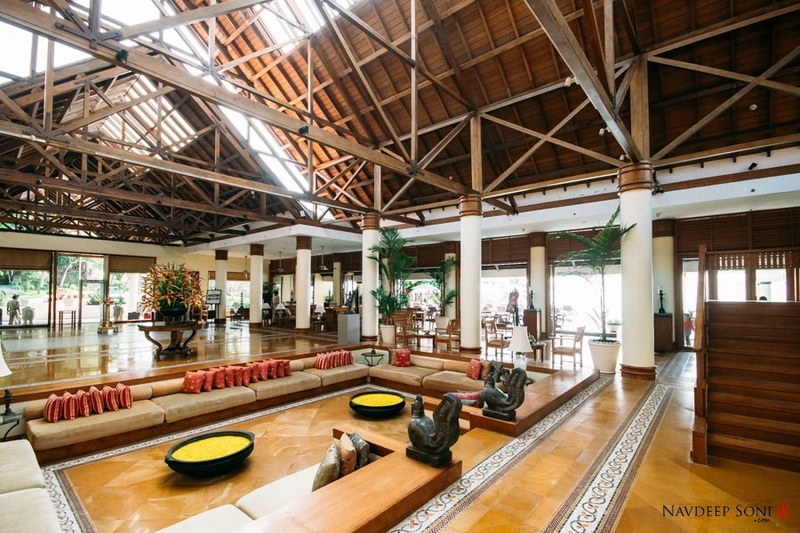 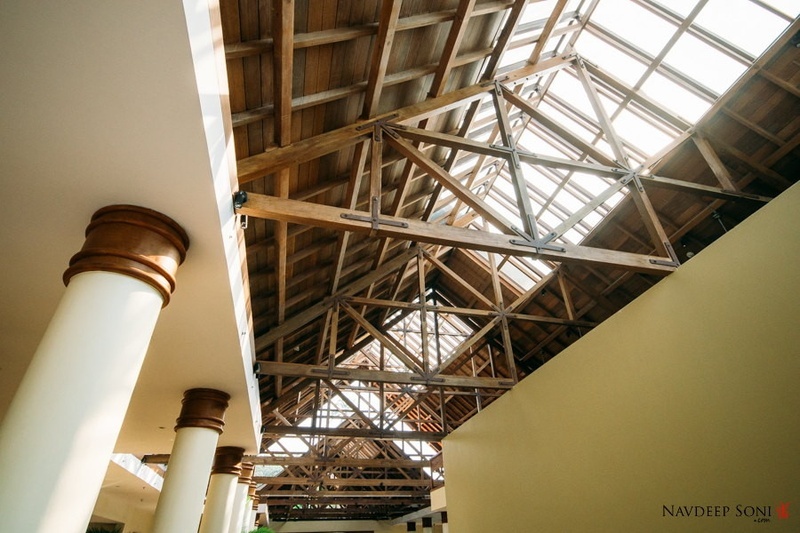 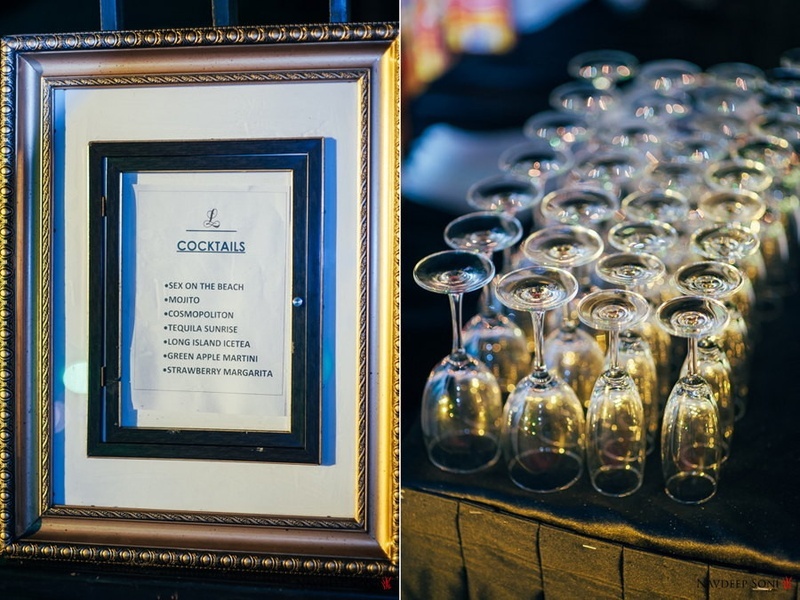 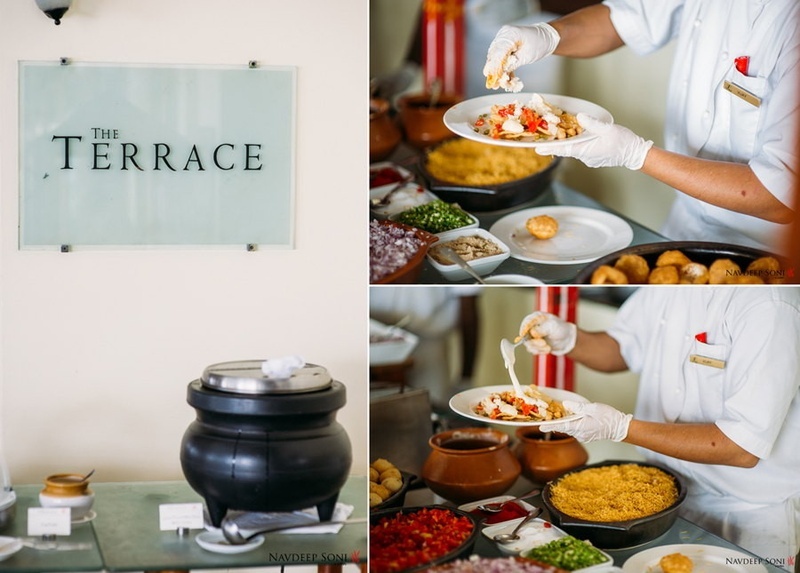 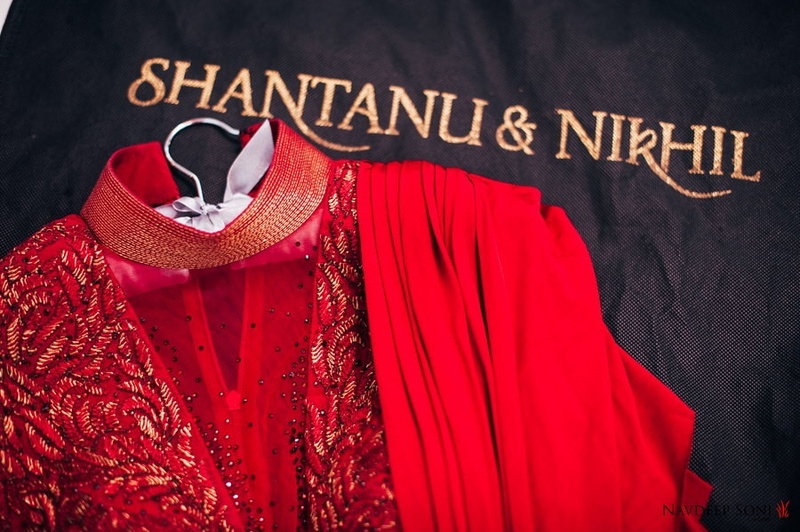 This one of a kind wedding with beautiful bouts of taste is sure to leave you mesmerized.